DAHLIN Senior Principal Lauri Moffet-Fehlberg will have her work displayed as part of the Firehouse Arts Center Fresh Works VIII Annual Juried Exhibition April 28 - June 2, 2018. The exhibition will be held at the Firehouse Arts Center in the Harrington Gallery. 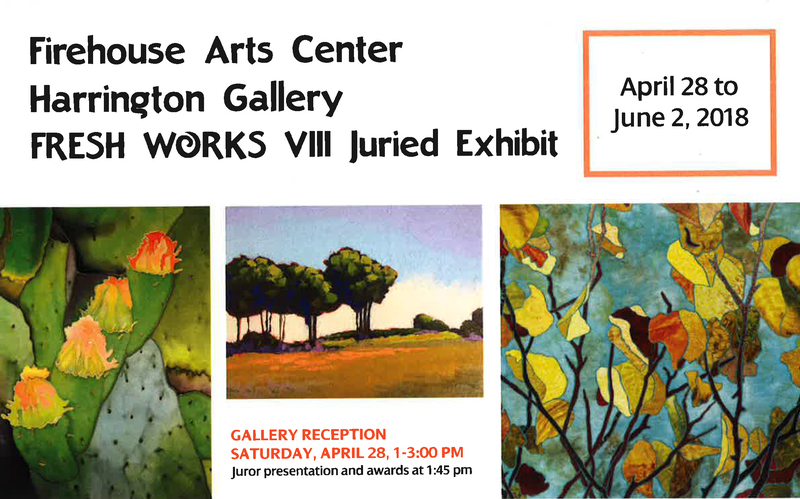 The gallery will open at 1:00pm on Saturday, April 28 with a reception from 1:00-3:00pm. Awards and short presentation by Juror Beverly Rayner will be at 1:45pm. Light refreshments will be served. $5 suggested donation. FRESH WORKS is an exhibition opportunity for emerging and established artists who reside or work in the greater Bay Area, with the focus of the exhibition being on new works. This year’s exhibit features 73 works of art by 63 artists.